Home / Tips and Care / Do You Know Your Birth Month Flower And What It Means? Up to 69% of Americans say that the smell and sight of flowers can improve their mood, which makes them a great gift for a loved one’s birthday. Like birthstones, every person has a unique and distinctive birth flower that has a special meaning. Whether you’re looking for a creative way to celebrate a loved one’s special day or you’re looking to add a personal touch to a birthday bouquet, birth flowers are a great way to do it. January: The birth flower for January is the Carnation. The carnation is a beautiful, feathery flower that represents admiration, gratitude, fascination, beauty, divine love, and pride. February: The birth flower for February is the Iris. The iris is a wonderful flower that comes in blue, purple, yellow, and white. Irises represent valor, wisdom, and faith. March: The birth flower of March is the Daffodil. These bright yellow flowers represent new beginnings, rebirth, happiness, and joy. April: The birth flower of April is the Daisy. Daisies represent purity, innocence, and love. May: The birth flower of May is the Lily. Lilies represent humility, sweetness, purity of heart, honor, and majesty. 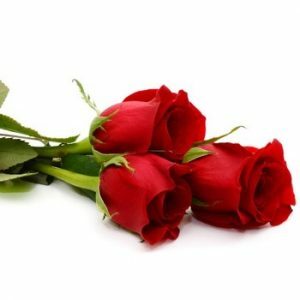 June: The birth flower of June is the Rose. Available in a wide array of colors, this classic and beautiful flower represents love, passion, beauty, and perfection. August: The birth flower of August is the Gladiola, which represents strength and moral integrity. September: The birth flower of September is the Aster, a symbol of love and elegance that is said to ward off evil. November: The birth flower of November is the Chrysanthemum, a symbol of the sun that represents happiness, optimism, and perfection. December: The birth flower of December is the Poinsettia. This iconic red flower represents joy, merriment, and cheer. Where can I find the best flowers for birthdays? OpenBlooms offers some of the best flowers for birthdays whether you’re gifting a bouquet to your best friend or loved one. To learn more about our flower delivery options or birthday bouquets, contact OpenBlooms today. We’ll be happy to answer your questions.